heheh PSJ throughout that clip "where am I, idk what's going on. She's on my laps, I can't think straight" U know the more I review stuff about PPC, I feel like PSJ never actually hid his feelings regarding their relationship. Yes he's definitely protective but looking back I dont think he was ever shy to show the public what PMY is to him. His body language to me confirmed that. I love the fanmeet pics. KJS is just such an attractive man, and he seems like such a lovely person too. I love how it's become tradition for the PM guys to attend one another's fanmeet, the bromance is adorable! Anyway, this isn't a shipping thread so I'm not inclined to turn it into one. I just wanted to say though, that every one of those guys who appeared on RM, and most especially JSM, know how to work variety. Call me a cynic, but I'll be surprised if any of those 'feelings' were real at this point. The guesting was a good promotion for TSYB though, so if season 2 is in the works... Well at least the PD knows people love the KJS and JSM pairing. KJS definitely got the most attention out of the guests, and for good reason. He worked really hard. If you guys have any more ZM and WJ new cut scenes and available in the TvB version, please share! I would love to watch it. Last lot! Q: Did any interesting happen during the filming of the drama? Can you share them with us? LY: Can I mention the term ‘eating richard simmons’ in the interview? I mentioned this while speaking to (an acting) teacher. I didn’t know how explain myself. I think she thought I really ate it. Q: This is your first drama as male lead. Do you have any thoughts/feelings/experiences you’d like to share? LY: I think the matter of the type of roles I get are minor in comparison to the lot of things I have to still learn. Q: What is your ideal type? LY: She should be kind, and should have a good personality. Q: Is there something you’d like to do this year? Can you share with us? LY: I would like to strongly promote Put Your Head on my Shoulder! Q: Can you describe in 3 words the first impression you think others have of you? LY: Very tall, very good-looking and a little self-absorbed (haha...I wld add that he has good self-awareness) Q: what would you do and give your other half on her birthday? LY: Making her happy is the greatest gift of all. (Awww) *end of fan questions* *start of reporter questions* Q: You mentioned that you do not possess the attractiveness of a god/saint. But how would you rate yourself on a scale of 10? LY: I don’t. But if I did, you might like to give me a score? 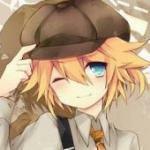 (Cleverly evaded..teehee. I give 12!) Q: What part(s) of your features are you most satisfied with? LY: I like them best when they are all together. Q: I heard you’ve travelled solo to Sri Lanka. Are you the sort who likes doing things alone? LY: No, I am not but as long as I have my mobile phone with me, I’d be fine. Q: If you are stranded on an island and can only bring 3 items, what would you bring? LY: One item would be sufficient- a musical instrument (I don’t know exactly what a duo1 la1 A qin2 is) Q: Can you send love in 5 different ways through the screen? LY: (provides the requisite fan service) *during the credit roll* Q: Can you use 3 words to describe your current situation? LY: Learning, growing and having choices Q: What sort of choices do you face? LY: I am 20 and at the turning point in my life. I have many different things I can do and hence choices to make. The end! Thanks! I'm glad you see the same. I do think that ZM's early ruthless tendencies is because she was born into Mongolian royalty in time of you conquer me and I conquer you. I forgot who she said it to, but she said that if only she was born a male, she could do so much more for her country. It goes to show how she was politically nurtured just by simply being born into royalty. Yes - I remember ZM's reaction when WJ gave back her sword! The girl knew she was in trouble LOL. I love XZ!! And I loved ZM's flashback of her farewell conversation with XZ. XZ definitely knew her master well and it was so touching that XZ knew that she could trust WJ in ZM's hands. I was glad that ZM got that confirmation from XZ. What is the song? just curious! Currently watching the series for the umteenth time. I’ve realized that, while I like LMH in other roles, I’m really more of a “LMH as Choi Young in Faith” fan. It’s a wonderful role played very well. Someone posted an excerpt from the end of Ep 7 on Facebook where there’s no dialog. He goes through several strong emotions from rage to resignation using those wonderfully expressive eyes. It will be interesting to see what he does next after leaving his alternative military service.